Optional reading: Reading level grades 4+: The Cat of Bubastes: A Tale of Ancient Egypt by Henty. This has 20 chapters and an audio book and The Story of Mankind pages 17-28 with audio. 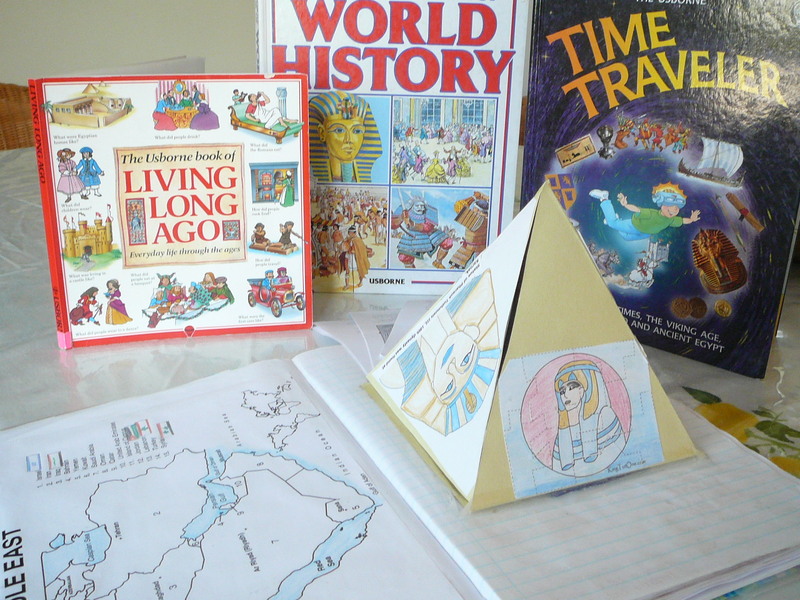 Read about Ancient Egypt. Click the arrow to turn the pages. Read through the New Kingdom. *Fill in this three-triangle organizer (Egypt’s Kingdoms) with brief facts about the three kingdoms. Read through this timeline of Ancient Egypt. Now look at this Bible timeline. *On the bottom of this timeline place the dates and event names for: the pyramid texts, the valley of the kings, Hatshepsut’s rule and King Tut’s death. Then in the top boxes write in dates and events from the timeline of the Bible that are from about the same time as each Egyptian event below it. Remember the biggest number goes to the left! Read about the Pyramids. Click on both pyramid links. Take a look inside the pyramids. Read about hieroglyphics. Click on “hieroglyphic writing.” Don’t download the alphabet chart. Send a hieroglyphic email from the site, or print out your message. Click on the keyboard icon to show more choices. Now go to the hieroglyphic math page. Read it and then choose your age from the list and try it! If you like, you can try and write your name in hieroglyphs. Here’s an alphabet chart. Click all of the arrows to read through all of the pages to read about the Rosetta Stone. Read the fun facts and then take the quiz (bottom left). (*)Write about the Rosetta Stone and the Sphinx. Here are notebooking pages to choose from if you like. See some other amazing architecture from ancient Egypt. Read about papyrus. Read the first four sections. Then jump down to the facts at the end. You can skip over (or read if you like) about the papyrus scrolls they have found. If this activity is working, do this The Time Warp. Follow the story, answer the questions, embalm the dead guy, yuck! Read about homes, daily life, and women in ancient Egypt. Read about Moses and ancient Egypt. You will read of evidences from history and science that the biblical accounts really could have happened. Of course, people of faith don’t need them to tell us that! Please find this affirming. It does not take away from God’s miraculous hand in events such as the parting of the Red Sea to say it could have been a tsunami effect. (We know from the Bible there was a strong wind that blew all night.) God created the wind and the weather and however He parted the Red Sea, He is the only one who could have caused it to happen in just the right way at just the right time and to end at the precise moment necessary to save His people and destroy the enemies of His people. *Label this map (Egypt map). Here are some maps you could use to help you. Some of those maps do not work. Here’s another option. Play Senet, the oldest board game in the world. *Fill in a timeline page for ancient Egypt. Fill in at least one thing for each category and place some date to go with it. It’s okay to have only one category per line filled in to go with each date. Fill in whatever else you deem significant to add. Work at a computer with a printer if you are typing on the timeline. Look at this map of Mesopotamia and notice where it is in relation to Egypt. Write about Mesopotamia. Here is clip art you can put on your page. Or you could draw and write. Read about Assyrian palaces. You can click on Explore if you like but don’t click on the other links. Read about the astronomers of Babylon. Read about trade in Babylon. Look at this image. You might be able to click on ctrl+ to zoom in. It is an image of Hammurabi’s Code of Law. Read this selection from the Code of Law. (*) Follow the directions on this page to compare and contrast three of these laws to today’s laws. If you aren’t sure, ask a parent for help. This is from 1780 BC. The ten commandments were received around 1300 BC. Read about the collapse of what we know as Mesopotamia. Write a paragraph about what you learned from this reading. Fill in a timeline page for Mesopotamia. Fill in at least one thing for each category and place some date to go with it. It’s okay to have only one category per line filled in. Fill in whatever else you deem significant to add. Make sure you save it! Watch a video on one of the ancient 7 wonders of the world, the hanging gardens of Babylon. While you watch, draw a picture of the hanging gardens. When you are finished, show your drawing to your parents and explain why it was a marvel. *Read an article and fill in this chart. Choose one article. Look at the most recent cartoon and try and answer the questions. Describe the cartoon and meaning to your parents. Now we’re going to move to another part of the world, China. Fill in a timeline page with the information about dynasties. Save it! Make a Chinese scroll wall hanging.Write the Chinese characters for each of Confucius’ five virtues. Use a large black marker if you have it or black paint and thick brush. At the bottom of each one, write the English, its definition and the quote. Tape them together. You can tape on paper towel rolls at each end if you want to make a scroll. Read the first two pages of the PDF on the Qin and Han. You can type it and add clip art. You should put a title on the page as well. Or, you could use this notebooking page if you like. Read about the Terracotta Warriors. Read more about the Chou and Han dynasties. You’ll find Chou spelled Zhou. You’ll also find Ch’in spelled Qin. Add to your timeline page with information from the readings. 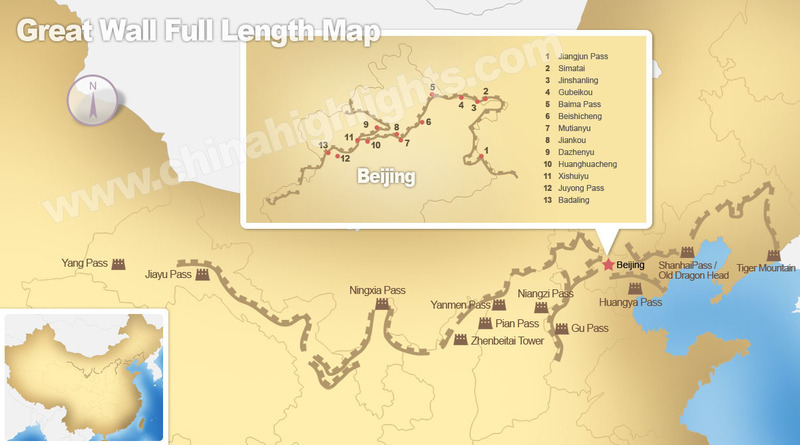 Read about the Great Wall of China. Here is another map of it. *Print out a map of China and draw the Great Wall of China on it. Read pages 3 and 4 about the Han and answer each question in a complete paragraph. Read the lyrics; sing the song. This is ancient China history in song. Play until you win a million dollars. Look at each of the images (seven of them). Write a couple of observations about each. You can read what is written under each image but don’t copy what is written there. Look at the images and write what you observe. Read about Silk Worms. Use the links to learn more. Draw a diagram showing the steps of making silk. Write a story about your trip back to ancient China. As you read each day you need to take what you think is the most important or most interesting information and put it in a scrapbook (on paper or online), in a lapbook (create your own pieces or use premade) or in a power point presentation. Or, if you want, you could use notebooking pages and add more if you need to (Ancient Maya Notebooking pages – about halfway down the page). Watch the video at the top of the page about the Maya. Then scroll down the page and read about where they were located. See where they lived on a map. Read Mayan history. Read the sections on the Early and Classic Maya. Read about the Mayan calendar. Find your birthday in the Mayan calendar. Finish the article. Scroll down and read about Life in the Rain Forest and Mysterious Decline. Click on the Xs on the map. Listen to the creation story as told by the Maya. Did you notice the destruction by flood? Many cultures have a creation and flood story. This shows how ancient these stories are and have been passed down and moved around to have reached opposing sides of the globe even in ancient times. Of course stories change and are adapted as they are passed around. We believe Moses wrote the Genesis account that we know, meaning it isn’t changed because it was written and preserved. Look at the most recent cartoon. Answer the questions. Read this story. Click on next to turn the page. Follow the directions on this worksheet; you will just do the top half on making inferences, smart guesses about the people or places based on what information you have. Read the introduction to this site on the Indus Valley, the “overview” and “geography” sections. As you read each day you will fill in a timeline page for the Indus Valley. Make sure you fill in at least one thing for each category and place some date to go with it. It’s okay to have only one category per line filled in. Fill in whatever else you deem significant to add. Read about the economy in the Indus Valley; read the “trade and transportation” section. Read about society; read the “writing” and “religion” sections. Read about town planning; read the “town planning” section. Read about their daily life. Read about arts and crafts; read the “arts and crafts” section. Look at this site. There are tons of pictures of their art and crafts. Read about the reasons for its decline; read the last section on the page. Tell someone about why this civilization declined. Either write facts from what you’ve learned in each section, or write as someone from that time period. You don’t have to write lots, but be informative! On a poster (or hanging paper timeline) (online timeline maker) put dates from all of your timelines. Show how the different civilizations you have studied overlap. You don’t have to include everything from your timelines. Mostly I want you to show how the civilizations overlap or don’t overlap in their existence. You can find clip art on this site. You will add to this throughout the year. Make sure it can be expanded. Who are Daedalus and Icarus? Is it love? Listen to the chapter. It is optional if you want to listen to the song. This is the story of Troy in song. When someone refers to their Achilles’ heel, what are they saying? Read chapters 100- 103. C is 100 in Roman numerals. Write or tell about what you read. *Print out this worksheet and complete the quest. You can use the “Plentifax” to help you! Build a temple and learn about Ancient Greek temple architecture. Choose a hero to read about. Make a timeline page for Greece. Add Greece to your overall timeline. Play Ancient Civilization Jeopardy.Directions are below. Find Rome on the map. That’s where it all began. Rome controlled most of the “boot” when they first became a republic. The Roman Empire is going to take us from BC to AD. That means Jesus will be born during their reign. And when Jesus was alive the Romans ruled Israel. Many Jews thought that Jesus was going to free them from having the Romans ruling over them. But that wasn’t the kind of king He was born to be. Read this introduction to the Roman Empire. Write one sentence for each page of the introduction giving some information. You are going to act this out later so keep that in mind as you choose what to write. Type your sentences in one document. Call in Romans and save it in a folder with your name on it. 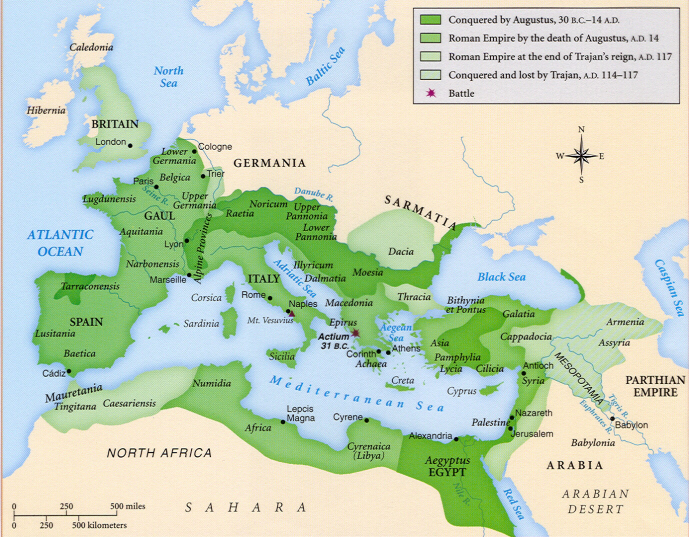 Read through this overview of the Roman Empire. Click on the chariots to keep moving forward. Add to your sentences page with information about the Romans invading Britain. Add to your Romans document with information about the Roman army. Take a look at the structure of the Roman army. Read about architecture (alternate link). Watch a video on how aqueducts work. Read about the Romans and builders. Read about aqueducts and design your own aqueduct. How could there be one near you? Read about Roman Education. alternate link. Learn about Roman houses. Click on each of the colored letters. Read about the 12 Tables. Read about the problems that developed in the Roman empire: the Republic fails, the fall of Rome. There are two more people you should know about. Read about Julius Caesar and Cicero. Add them to your document about the Romans. You have the same assignment on Day 87, except on Day 87 you need to finish. If you like, you can rule the Roman empire. Add the Greeks and Romans to your overall timeline. Where do they fit in? Read about the Romans in the Bible. 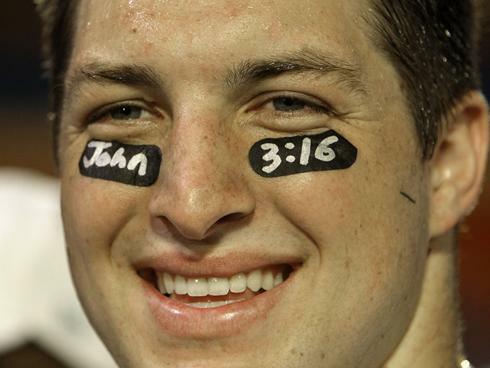 If you can’t figure out what the verse is talking about, you can use the links under each verse to read more. Read about Hanukkah and the Maccabees. Notice that the dates are earlier. Explain to someone why the Maccabees are significant in Jewish history and why they are related to the holiday of Hanukkah. This story comes between the Old and the New Testament. There’s a 400 year gap between the Old and the New. Why? God was setting things up just right. In order for the gospel to spread (as it did so quickly in Acts) there had to be a common language spoken. The Greek Empire took care of that and all of the areas where Paul ended up traveling all spoke Greek. The gospel also needed a way to travel. The Romans aided there by building roads all over their empire. God used the Romans in another way. In conquering the whole region, they took control by policing their territories. This ended a lot of fighting and banditry in different areas that made travel dangerous. Today you can read about someone from Christian history. Write a paragraph about Cyprian. Read lesson one about Vikings (alternate link). Read lesson two (alternate link). Do the Think and Discuss and Looking at the Evidence sections. Read the poem out loud to your family. Do the Looking at the Evidence section. Write one diary entry as a viking. *Play the Viking trader game. Add in at least one date for the Vikings on your overall timeline. Here are some dates. Scroll down just a bit. Then click enter and read the next page. Then click Feudal Life and click the next page. Read about Feudalism. You DON’T need to click on all of those links. Read about the Feudalism pyramid. Read more about roles and rules during this time. Write down on scraps of paper: pope, king, noble, knight/vassal, peasant/serf. Have a scrap of paper for each person in your family. It’s okay if there are more papers than people. There can only be one pope and one king but there can be more of the others if there are more people in your family. Fold the papers up. When everyone is together, have everyone pick a scrap of paper. Tell everyone their role in the Middle Ages. Read about daily life in the Middle Ages. Use the links to read more. You don’t have to read about entertainment yet. Write about the lives of nobels and peasants and compare and contrast them. Read about village life and religious festivals (use the link). Write a paragraph about what you think you would have liked and disliked about living during that time. Read about entertainment in the middle ages. Use the links to learn more. Learn about one game on each list (board games and outdoor games) that you have never heard of before. Compare and contrast yourself to the people in the middle ages. Tell someone what types of games/entertainment that they liked that you think you would have liked to and what wouldn’t you have liked. Read an overview of some of Middle Ages History. Read the page and then choose one of the wars to learn more about. Use the link and read about it. Choose one of these to write about, or you could be creative and act out one of the women or make some of the food. Learn more about two you don’t already know about. Draw pictures of them and write or explain to someone what it was and how it was used. Write a paragraph summarizing what you read today. Learn about the Doomsday book. Learn about the Battle of Hastings. Choose one of these to write about. Write a paragraph about what you learned. Add the crusades to your overall timeline. Read about the Crusades. Use the links to learn more. *You are going to write a newspaper article about the Crusades. Read the first two pages and print the last page. Today fill in the page you printed out. Today write your article. You could include this in your portfolio. Make a tapestry that shows something about feudalism. (Click on the thumbnail to make it big.) You can draw it or make it on the computer. If you do it on the computer, here is clip art that you can use. It doesn’t have to be a work of art. Plan to spend 20 minutes working on it. Read about ancient Japan. Keep clicking next. The last page is about feudal Japan. Tell someone all about ancient Japan and feudal Japan. *With the information you read yesterday, fill in a Venn Diagram with what is the same and what is different about feudal Japan and the same period in Europe. Read about women in feudal Japan. Write about women during this period. You can use this notebooking page. Watch the slide show on Japan’s geography. Read this biography of Genghis Khan. Take a look at this map to see where these campaigns led. Read the rest of Genghis Khan’s story and take notes on the timeline. Put the Mongols and feudal Japan on your overall timeline. Read about the Ottoman Empire. Take a look at this map, the top one. Click on the different dates and watch the empire grow. You can click on the place names to help you see where in the world you are looking at. *Color in this map to show where the Ottoman Empire ruled at its height. Scroll down and read about the Aztecs. Use these links to learn about the Aztecs. Use these links to find information to fill in the sheet. Add the Ottomans, samurai, aztecs and mongols to your overall timeline. Read about Gutenberg a little bit more. The second article you read said: “Without the printing press we wouldn’t have had the Scientific Revolution or the Renaissance.” Why? Answer in a paragraph. Read about the War of the Roses and Politics. Use notebooking pages or a regular notebook and take notes on your readings. Read about Italian wars, Turkish threat and the Spanish Armada. Read the final topics: Art, Music, Reformation. Write a paragraph (6-12 sentences) telling an overview of the renaissance. Write a paragraph about the Black Death and its effects. Play the spice trader game. Read about printing and humanism. Click to read more. Write a paragraph about how humanistic thinking affected the church. How do you see humanistic thinking in the church today? Read about Florence. Click to read more. Who are the famous artists mentioned? Tell someone about them. Read about Martin Luther and the Reformation. Do the Reformation crossword puzzle. Do the Reformation quick quiz. Read the introduction to the Leonardo DaVinci site. Click Davinci the Inventor and read the page. Make sure you at the image to see how DaVinci imagined the invention. Draw a sketch of a future invention. Read through the gadget anatomy. You should recognize a lot of these. Design a machine. Use one of the challenges from either section. You aren’t going to make it (unless you want to), just design it on paper like DaVinci. Read about perspective and Leonardo as an artist. Give it a try! If you can’t, this page gives a tip to make it easier. Add the renaissance to your overall timeline. Spend time looking at this timeline. There are two parts. *Print out this explorer’s booklet, pages 3-12. Color Magellan and write a date and what he is famous for. Complete the page on John Cabot. Complete the page of the explorer’s booklet on Sir Frances Drake. Complete his pages in the explorer’s booklet. Read about Giovanni Da Verrazano. Complete Giovanni Da Verrazano’s page in the explorer’s booklet. Complete his page in the explorer’s booklet. Play some review games. What do you remember? Ancient Egypt or Ancient Mesopotamia? If this is your first year, play science review games or try history from another year. You are going to be doing a final, end-of-the-year project. Today you will choose your topic. Look at these TimeWarpTrio pages to help you choose between Peter the Great and Napoleon. (The “Put it Back, Jack” games don’t work, but the Plentifax and Who’s Who pages have a lot of great info!) You should know a little about both of these men.